The Bawaji love for motorcycles (and many other things from an era of yore) is legendary. We take great pride in the ownership and maintenance of our Classics. It is with good reason that a ‘Parsi owned’ vehicle demands a premium, during resale. 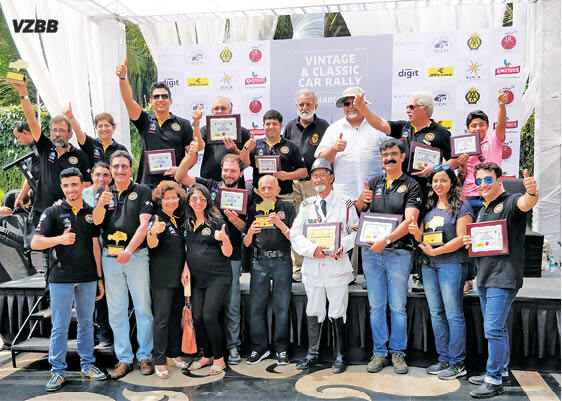 The Vintage Zoroastrian Bikers of Bombay (VZBB) is a one such passionate vintage and classic motorcycle group for Parsi/Irani Zoroastrian motorcyclists, that blossomed in 2015. It began under the guidance of an avid motorcycle enthusiast and collector – Farrokhi Bengali. VZBB’s classic brigade comprises approximately 20 riders (and growing) and prides itself with a large collection of immaculately restored motorcycles including BMWs, BSAs, Triumphs, Nortons and more. With the senior-most member, an 86-year-old young-hearted bawa, in tow, the Group often heads out on weekend rides, culminating with breakfast at Irani Cafés. Their winter rides are generally to exciting and popular destinations outside Mumbai like Lonavala, Dahanu, etc. Purely Zoroastrian, the Group takes great pride in welcoming our fellow brethren to join on motorcycle trips also to our holy grail – Udwada. From Classics to Superbikes, we love them all! 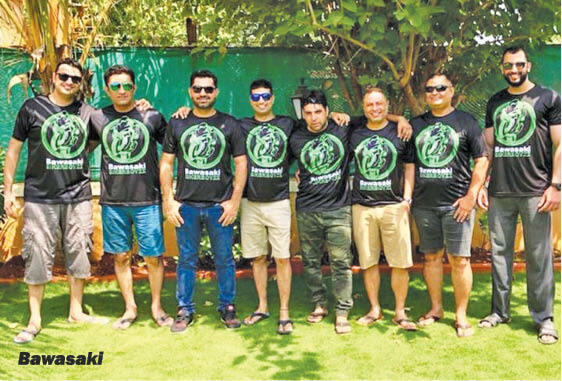 Founded by enthusiasts like Pervez Patel and a few others, ‘BAWASAKI’ is an audacious, passionate Motorcycle Group – out to have fun and explore their unfathomable love for their two-wheeled soul-mates! And they’re proudly unapologetic about it! Bawasaki’s Biker Boyzz are an outgoing, friendly and fun-to-be-with lot. Whilst there is always something exciting happening within the clan, like the VZBB, they prioritize and advocate safety and ride responsibly, obeying the laws of the land. This Group of merry men has individuals from across all walks of life. From aapro pase no Pesi to professionals, businessmen, students etc., all bond together with the blazing passion to ride! The seasoned guys are ever willing to assist the newbies with useful advice and suggestions on technicalities, safety gear, and more. 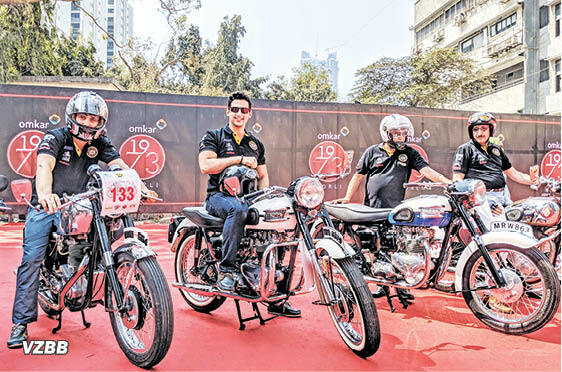 Having started with humble beginnings of a small riding Group, Bawasaki now commands a roaring 80-plus membership and counting, comprising bawajis as also like-minded enthusiasts from other communities. Well, we can’t blame them… riding with bawas is as irresistible to all, just as the bike is to the bawa! Glistening BMW’s, Triumph’s, Ducati’s, Harley Davidson’s, and the Japanese big four – you’ll see them all here! Whether meeting over breakfast or trips to Goa, Surat etc., the zest to meet and ride is all-pervading. Bawasaki meets are typically full of adventure and banter. 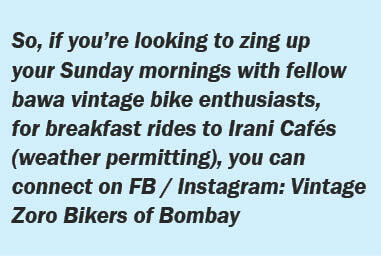 The Biker Boyzz of Bawasaki have their own Facebook page through which like-minded riders can join for breakfast rides to Lonavala, Igatpuri and other local haunts as well as rides to Goa and Ladakh in November and December, respectively! The only qualifications needed is a pair of wheels, riding gear and most of all, a good sense of humour!